Post-traumatic stress disorder (C-PTSD) is a psychological injury that results from protracted exposure to prolonged social and/or interpersonal trauma in the context of either captivity or entrapment those results in the lack or loss of control, helplessness, and deformations of identity and sense of self. Luxenberg, Spinazzola, & van der Kolk (2001) elucidate that characteristic of DESNOS is trauma which involves interpersonal victimization, multiple traumatic events, or, events of prolonged duration with disturbances in six areas of functioning such as regulation, of affect and impulses, attention or consciousness, self-perception ,relations with others, somatization and systems of meaning. During the Eelam War in Sri Lanka a large number of combatants experienced traumatic events that shook their foundations of beliefs about safety. They were exposed to combat for long periods and some had spent over decades in the operational areas constantly facing hostile enemy attacks. War was a cumulative traumatic experience for most of them. Jacobsen et al. (2001) point out that 22-43% of people living with PTSD have a lifetime, prevalence rate of substance use disorders and the rate for, veterans is as high as 75%. The studies based on Vietnam and Afghan veterans in the US reveal that alcohol and substance abusers could be potential health hazards that go hand in hand with combat trauma. Analysis of data collected in a 1977 U.S. national epidemiologic study of substance abuse revealed that Vietnam veterans had substantially higher levels of alcohol consumption and binge drinking, than comparable groups of Vietnam “era” veterans with no Vietnam service other veterans and non-veterans (Boscarino, 1981). The studies have shown that combat trauma linked to domestic violence. A number of studies have found that veterans’ PTSD symptoms can negatively impact family relationships and that family relationships may exacerbate or ameliorate a veteran’s PTSD and comorbid conditions (Price & Stevens, 2010). Jordan et al. (1992) indicate that Male veterans with PTSD are more likely to report marital or relationship problems, higher levels of parenting problems, and generally poorer family adjustment than veterans without PTSD. There are many psychosocial and economic factors that contribute to suicides in Sri Lanka. Some Sociologists had viewed that the prolonged armed conflict in the North had drastic effects on the suicide rates in Sri Lanka. During the past 15 years in war-torn Sri Lanka, it is estimated that nearly 50000 persons have been killed. Deaths due to suicide, in the same period, are estimated to be 106000 – twice the number due to war (WHO, 2001). 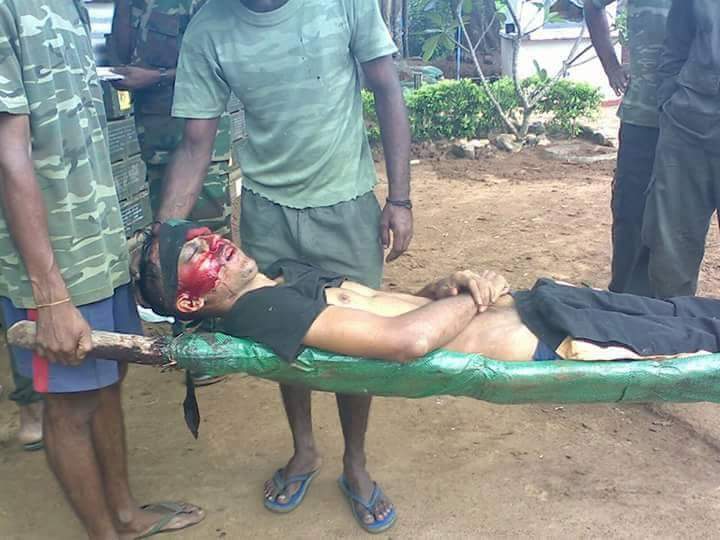 A significant number of soldiers have committed suicide in the battlefield during the Eelam War. In addition, a considerable amount of uncompleted suicides and self harm had been reported. ). Based on the said study of the 56 Sri Lankan soldiers diagnosed with PTSD 17 of them had suicidal attempts in the past. According to the Military Spokesperson of the Sri Lanka Army from 2009 to 2012 postwar period nearly 400 soldiers had committed suicide (Sriyananda, 2012). Combatants with war trauma need psychosocial rehabilitation to recover. Warren (2002) of the view that addressing the broader emotional, social and economic needs of survivors is a critical aspect of the rehabilitation process. Psychosocial Rehabilitation practices help war veteran’s re-establish normal roles in the community, independence and their reintegration into community life. These interventions should help to manage behaviors, perceptions and reactions to the physical / psychological injury or condition which may hold back the process of recovery or maintenance of the veteran’s well-being. A combat veteran’s transition to civilian society from combat is fraught with complications in familial and interpersonal relations, vocational endeavors, and at times, adherence to societal and legal boundaries (Fairweather & Garcia, 2007). A range of social, educational, occupational, behavioral and cognitive interventions would be needed to address the needs of the combatants who were affected by war trauma. The Sri Lanka Army combat veterans with PTSD will need an effective psychosocial rehabilitation process to reintegrate in to civilian society after their military service. 4) Private SXXT31 served in the operational area for 9 years and firsthand experienced combat trauma. He witnessed how his unit members got killed following enemy fire, mortar blasts and artillery attacks etc. and became severally overwhelmed while handling human remains. After experiencing these events over a long period he suffered severe transient headaches and loss of memory. By 2002 he was diagnosed with full blown symptoms of PTSD. He was frequently troubled by nightmares and flashbacks. When he experienced flashbacks he used to re live the traumatic event and often became disconnected from reality. Once Private SXXT31 went in to a dissociative flashback and he had squeezed the neck of his five year old daughter. When the little girl was suffocating his wife accidentally noticed the horrible event and alerted the neighbors and saved the little girl from Private SXXT31’s strong grip. The girl was immediately hospitalized and later recovered. Private SXXT31 became extremely distressed and felt guilty after realizing that he tried to strangle his own daughter. He had no memory of the incident and did not realize how he grabbed the daughter’s neck. Dr. Neil Fernando (MBBS, MD) is a Senior Consultant Psychiatrist and a Senior Lecturer at Kotalawala Defense University. He was the visiting Psychiatrist of the Sri Lanka Army. Dr Neil graduated from the Faculty of Medicine, University of Peradenitya in 1979 and joined the state health service. 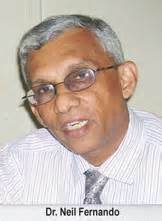 Dr Neil Fernando is one of the best known psychiatrists in Sri Lanka today. He is the pioneer in community mental health services in Sri Lanka. Bisson, J.I, Ehlers, A,. Matthews, R,. Pilling, S,. Richards, D., Turner, S. (2007).Psychological treatments for chronic post-traumatic stress disorder: systematic review and meta-analysis. British Journal of Psychiatry. 190:97”104. Boscarino, J. (1981). “Current excessive drinking among Vietnam veterans: A comparison with other veterans and non-veterans,” International Journal of Social Psychiatry, 27(3), 204-212. Fairweather, A.,& Garcia, M. (2007). Defining a new age of veteran care.” Primer for understanding Iraq and Afghanistan veterans. Jordan, B. K., Marmar, C. B., Fairbank, J. A., Schlenger, W. E., Kulka, R. A., Hough, R. L., et al. (1992). Problems in families of male Vietnam veterans with posttraumatic stress disorder. Jounal of Consulting and Clinical Psychology, 60, 916-926. Norris, FH, Friedman MJ, Watsan PJ, Byrne CM, Diaz E, Kaniasty K. 60,000 disaster victims speak: Part 1. An empirical review of the empirical literature, 1981”2001. Psychiatry. 2002;65:207 ”2239. United Nations – Human, Development Report (2011). Sri Lanka was given a Gender Empowerment Measure (GEM) ranking of 56 (out of 162, countries surveyed) by the United Nations Development Programme. World Health Organization. (2001). Suicide prevention: emerging from darkness. World Health Organization, Regional Office for South-East Asia.